Looking for ways to include Democrats in local activities is easy with the Holiday Parades of December. And that means WE NEED YOU! 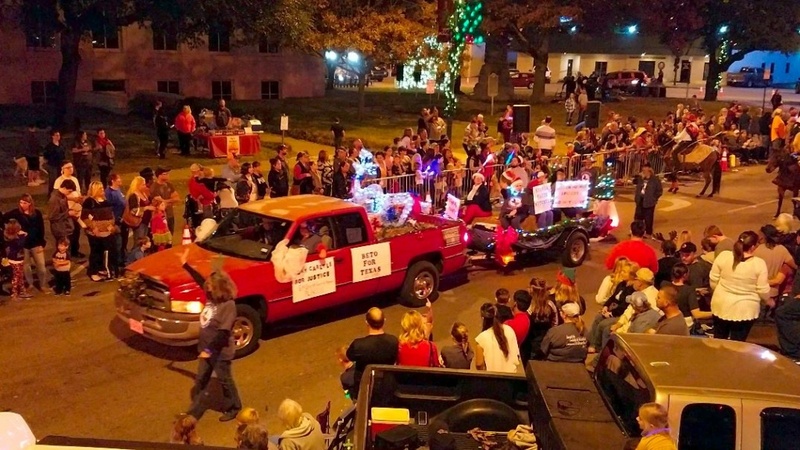 This Saturday, Dec 1, volunteers are needed to help decorate the GCDP entry for the Sherman Snowflake Parade. Decorating will start at 10 am. Line up for the parade starts at 4:30. We are still uncertain of the location for decorating in Sherman but will know by Thursday’s meeting at Grandy’s at 6 pm. The Parade theme is Christmas in Cartoons and our float is focused on a “Blue Christmas ‘Toon”. If you plan to help decorate, please gather greenery and battery operated lights (blue or multicolor with batteries included) if you have them. Whether you can help decorate or not, please become part of the entry, either sitting or walking the parade route with us. Wear your GCDP shirt if you have one, with whatever layers beneath to be comfortable at our designated spot on the parade line up at 4:30 -4:40 pm on Sat, Dec 1. The line up location is on Walnut St. You can contact Jan by phone/text at 972-897-5796 or email at jans_melodies@msn.com . Please stay after the parade to help “un-decorate”. We will also join the parade in Denison on Thursday, Dec 6 , with a similar schedule of decorating the day of the parade, but starting at noon. The theme in Denison is “A Festival of Trees” and we hope to include several small trees on the entry. Details here. Let’s wrap up an amazing year with the same energy as last year! Thank you for Being Part of the Solution!